The Fed says incessantly that “price stability” is part of their dual mandate and they are committed to maintaining the purchasing power of the dollar. But the Fed has a funny definition of price stability. Common sense says price stability should be zero inflation and zero deflation. A dollar five years from now should have the same purchasing power as a dollar today. Of course, this purchasing power would be “on average,” since some items are always going up or down in price for reasons that have nothing to do with the Fed. And how you construct the price index matters also. It’s an inexact science, but zero inflation seems like the right target. But the Fed target is 2%, not zero. If that sounds low, it’s not. Inflation of 2% cuts the purchasing power of a dollar in half in 35 years and in half again in another 35 years. That means in an average lifetime of 70 years, 2% will cause the dollar to 75% of its purchasing power! Just 3% inflation will cut the purchasing power of a dollar by almost 90% in the same average lifetime. So why does the Fed target 2% inflation instead of zero? The reason is that if a recession hits, the Fed needs to cut interest rates to get the economy out of the recession. If rates and inflation are already zero, there’s nothing to cut and we could be stuck in recession indefinitely. That was the situation from 2008–2015. The Fed has gradually been raising rates since then so they can cut them in the next recession. The Fed can raise rates all they want, but they can’t produce inflation. Inflation depends on consumer psychology. We have not had much consumer price inflation, but we have had huge asset price inflation. The “inflation” is not in consumer prices; it’s in asset prices. The printed money has to go somewhere. Instead of chasing goods, investors have been chasing yield. The answer is that it went into assets. Stocks, bonds and real estate have all been pumped up by central bank money printing. The Fed, first under Ben Bernanke and later under Janet Yellen — repeated Alan Greenspan’s blunder from 2005–06. Bernanke and Yellen also left rates too low for too long. They should have started rate and balance sheet normalization in 2010 at the early stages of the current expansion when the economy could have borne it. They didn’t. If the Fed raises rates without inflation, higher real rates can actually cause the recession and/or market crash the Fed is preparing to cure. The systemic dangers are clear. The world is moving toward a sovereign debt crisis because of too much debt and not enough growth. Inflation would help diminish the real value of the debt, but central banks have obviously proved impotent at generating inflation. Now central banks face the prospect of recession and more deflation with few policy options to fight it. So the Fed is now considering some radical ideas to get the inflation they desperately need. One idea is to abandon the 2% inflation target and just let inflation go as high as necessary to change expectations and give the Fed some dry powder for the next recession. That means 3% or even 4% inflation could be coming sooner than the markets expect. But the Fed should be careful what it asks for. Once inflation expectations develop, they can take on lives of their own. Once they take root, inflation will likely strike with a vengeance. Double-digit inflation could quickly follow. Double-digit inflation is a non-linear development. What I mean by that is, inflation doesn’t go simply from two percent, three percent, four, five, six. What happens is it’s really hard to get it from two to three, which is ultimately what the Fed wants. But it can jump rapidly from there. We could see a struggle to get from two to three percent, but then a quick bounce to six, and then a jump to nine or ten percent. The bottom line is, inflation can spin out of control very quickly. So is double-digit inflation rate within the next five years in the future? It’s possible. Though I am not forecasting it. But if it happens, it would happen very quickly. So the Fed is playing with fire if it thinks it can overshoot its inflation targets without consequences. 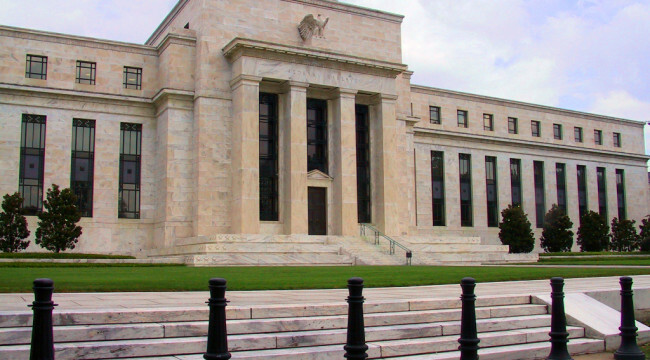 Why is the Fed’s forecasts so consistently wrong? There are many reasons for this horrible record, including the use of equilibrium models to describe a nonequilibrium complex dynamic system. For years I’ve said that the Fed has defective economic models and the worst forecasting record of any major official institution (although the IMF gives the Fed a run for their money in terms of bad forecasts). The facts back up my claim. For eight years in a row, from 2009–2016, the Fed’s one-year forward forecast for annual economic growth was off by orders of magnitude. The Fed has failed to achieve self-sustaining growth anywhere near former trends, along with its failure to achieve its 2% inflation targets. Perhaps the Fed’s biggest analytic and forecasting blunder is their reliance on the Phillips curve, which describes a purported inverse relationship between inflation and unemployment. The hypothesis is that as unemployment goes down, inflation goes up and vice versa. There is no evidence for this theory. In the late 1960s we had low unemployment and rising inflation. In the late 1970s and early 1980s we had high unemployment and high inflation. Today we have low unemployment and low inflation. There is no correlation between employment and inflation at all. The Fed has been pondering this lack of evidence. The Fed has concluded that they don’t really understand the relationship between employment and inflation. That’s a start. Maybe I can help. The reason they don’t understand the relationship is because there is no relationship. Inflation is not catalyzed by employment or money supply. Inflation is a result of psychological expectations and the behavioral patterns of consumers acting on those expectations. If people believe inflation is coming, they will act accordingly en masse, the velocity of money will increase and soon enough the inflation will arrive unless money supply has been severely constricted. That’s how you get the rapid inflation increases I described above. It is only in the past two years that the Fed forecast has become more accurate, and that’s only because the Fed simply trimmed their forecast to the prevailing nine-year trend growth rate of just over 2%. Better late than never. Meanwhile, the Fed is creating financial and economic headwinds with rate hikes and by reducing the money supply through its new program of quantitative tightening, or QT. With the return of stock market uncertainty and the economy not much above stall speed, a severe stock market correction/and or recession is in the cards. I can’t say exactly when, but I’d say it’ll be sooner rather than later.